Any members had success perfing something like this? Would "Perf Guage" be successful, do you think? St. Vincent’s portion of the Grenadines includes Bequia, Canouan, Mustique, Union and a number of smaller islands. 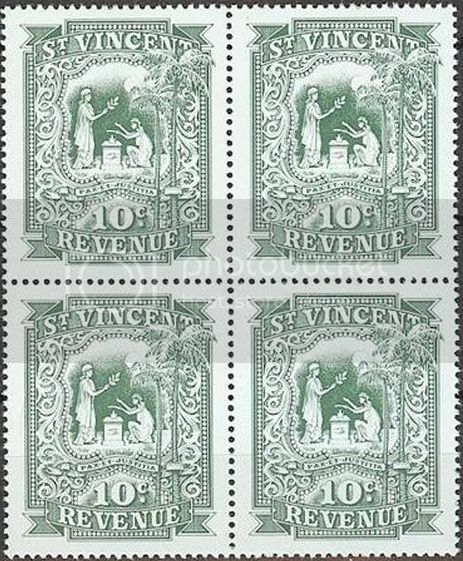 Stamps inscribed “Palm Island,” “Tobago Cays,” and “Young Island” are not listed as they do not meet Scott listing criteria. 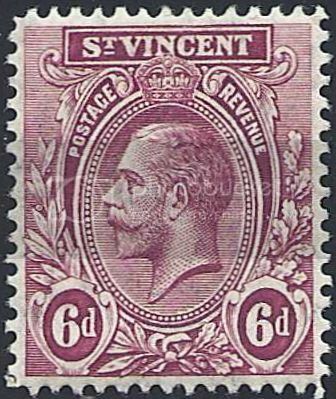 All stamps are designs of St. Vincent unless otherwise noted or illustrated. Can any members find it in Scott ? I have catalogue blindness. Quote : Interesting item, ex-bileski material, he was always good at finding unusual stuff! according to Bileski, 300 of these were in the printer archives so there are not very many of them out there!!! Wow, then that's quite the goody to come your way from philatelia! It reminds me, I've been setting aside a few cycling stamps to add to our topicals thread - I need to get them scanned and posted. I recently went through a French collection and found quite a few that way. I'm so glad the sheet found a home with a cyclist who can appreciate it!!! Rod is so generous, it was nice to be able to find something special for him. Cheers!!! I don't mean to be a "spoil sport", but history of such items should be known. 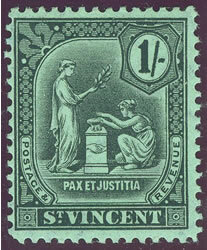 Those St. Vincent stamps were part of the famous "Leaders of the World Scandal". 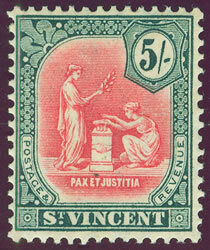 There are many other unissued stamps like the bicycle issue, not only from St. Vincent, but Tuvalu, Montserrat, etc. As for quantities, I am not sure of St. Vincent, but they are currently on eBay for as low as $6. I know Tuvalu's 1988 Olympics were "released" in quantities much greater than 300. 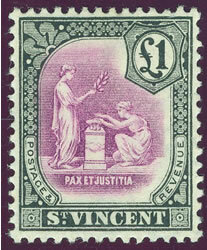 Regardless, the are very nice stamps and very collectable! I don't mean to be a "spoil sport", but history of such items should be known. I couldn't agree more. Well done you for bringing this to our attention. certainly no "spoil sport" even remotely considered. How one reacts to such issues is up to the owner. All part of the fabric and weave of Philately. This is the way things are. 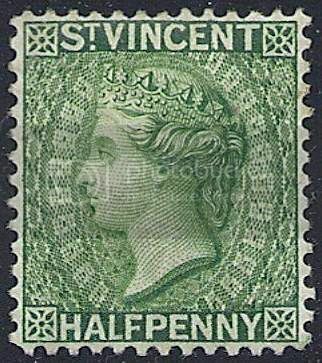 One of the joys of being a "collector" is being immune from the accepted restrictions of being a "Philatelist"
One may denounce them, but you cannot deny them. I have printed out your page, and added to my St. Vincent album, makes a great story. I also wonder what usage the 5 shilling had? Named after a Somerset Lad, Admiral Robert Blake, Father of the British Navy, successes eclipsed Nelson. Lots of work went into that one. "Engine Turning" was also used on expensive cigarette cases, silver etc, as a method to disguise fingerprints on shiny metal. I like the Vickis but you might guess my favorites are the KGVs. and raise you 2 Victorias. As long as we're flashing around revenues, got an i.d. on this one, by chance? Never mind, my note was misplaced. It is (supposedly) Barefoot 44, the Peace and Justice 10c from 1995. I would accept a confirmation, though, if someone has it. I like the tree outside the frame. A nice throwback to KGV and KGVI issues, dontcha think? One does not mess with Her Maj.
Std. Collector's Lament "Cannot afford the high values"
I'm a fan of such geometric engravings so this post reminded me of some videos I've watched in the past on YouTube. Guilloché work is still quite common in the high-end watchmaking industry and is also used for such items as pen barrels, money clips, jewelry boxes, etc. But I've never before seen the kind of machine used for engraving currency, stamps, passports, stock certificates and so on, and after digging around a little bit, I found one. I had always wondered how the gearing arrangement worked - I remember reading somewhere that the US Bureau of Engraving & Printing had a 10-gear machine for engraving their currency (go ahead, try to work out the math needed to copy a pattern with 10 wheels!). The first video gives a better look at how this style of work can be done without electricity, and the second one, although it doesn't have too much footage of machines actually cutting something, finally lets me see how those machines used for currency and stamps worked. Absolutely Fabulous Ryan, I have been looking for such a video for 10 years. Beautifully narrated. The complete package. The 1995 effort sure stepped up the game from the 1980 example in the catalogue excerpt. Thanks for digging up the vids, Ryan. Wilbur, Orville Wright and "Flyer"
Free gift from colleague "Aussie Al"
My previous post disappeared which is in keeping with what has been going on all day today. 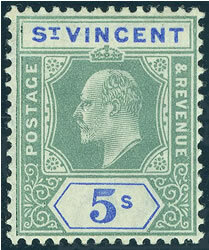 St.Vincent SG#53. 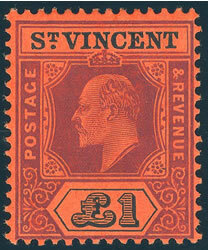 Printed in Recess by Perkins Bacon. 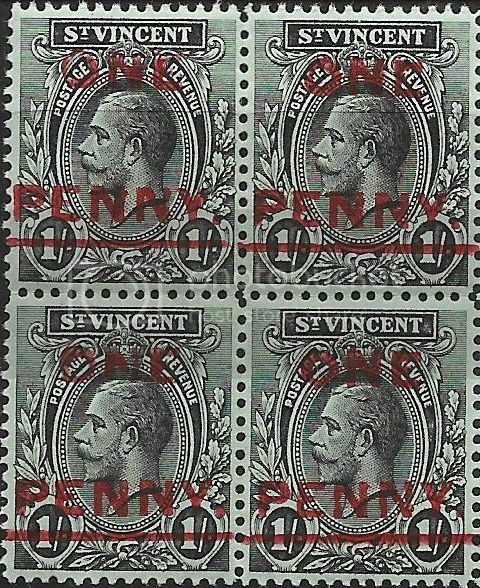 I have been accumulating the various print shades as listed in the Commonwealth Catalogue for St. Vincent. These stamps are scanned and are posted on my website. 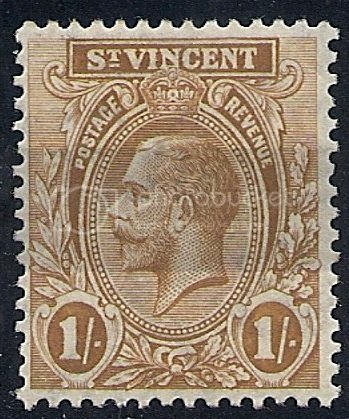 Currently I have the KEVII and KGV Sets posted.